U3O8 Corp. is committed to exploration in an environmentally responsible manner with practices that minimize our footprint and engage the community in joint stewardship of the environment. Waste from our exploration camp and drill sites is appropriately collected, separated, stored and disposed. 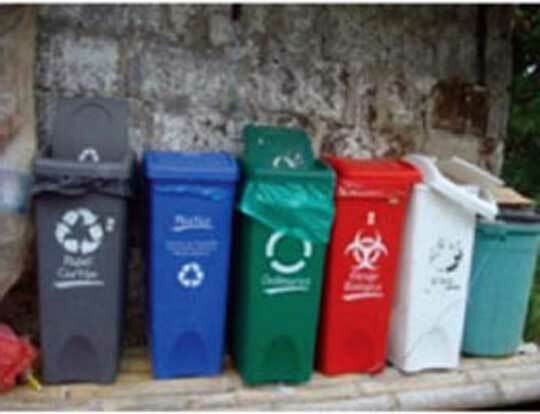 Organic waste is composted, certain materials and batteries collected for recycling and non-recyclable waste is delivered to the municipality’s prescribed waste facility. Lubricants and additives used in drilling are biodegradable. Drill water is recycled, then filtered to remove possible contaminants before release back into the environment. 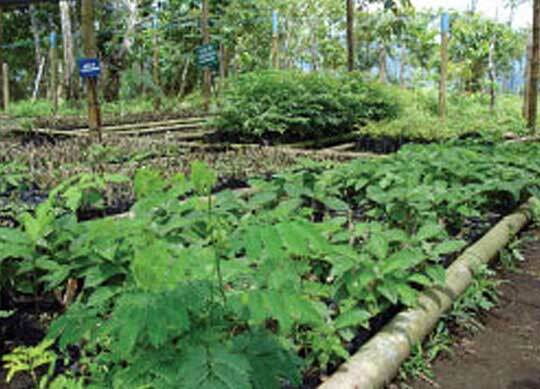 An inventory of native plants has been catalogued and these species are being propagated in U3O8 Corp’s tree nursery for replanting in our exploration sites as well as in other areas where reforestation is recommended. 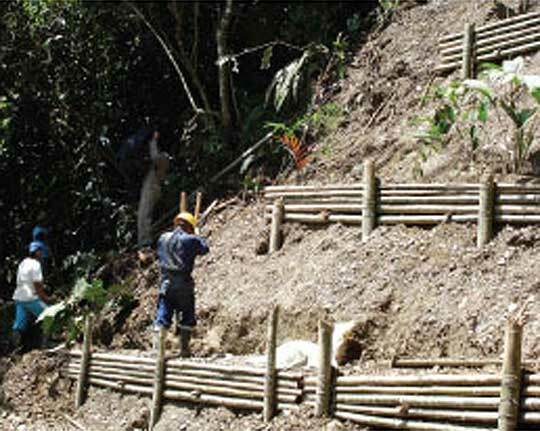 Steep sections of the access paths to the drill sites and drainage channels that control runoff from the paths are lined with bamboo, purchased from local farmers, to minimize soil erosion. 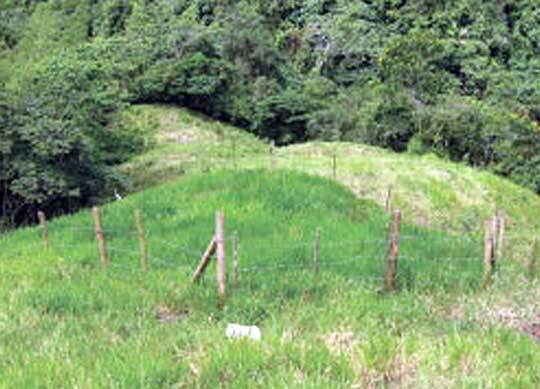 This photo shows erosion control in an area affected by a local landslip. 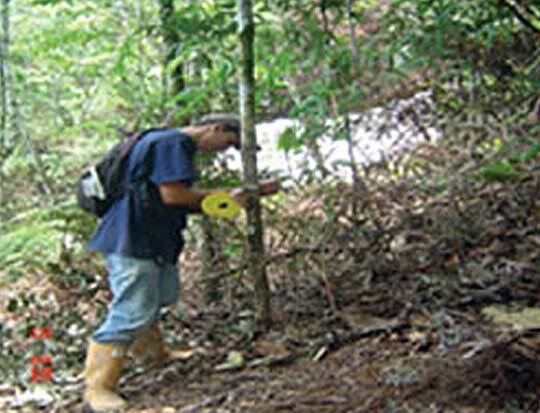 Trenches in Colombia are hand-dug and refilled as soon as the exploration work has been completed. Trench sites and drill platforms are then replanted with native species typical of the surrounding vegetation. Photo above is a drill pad replanted with pasture grass. 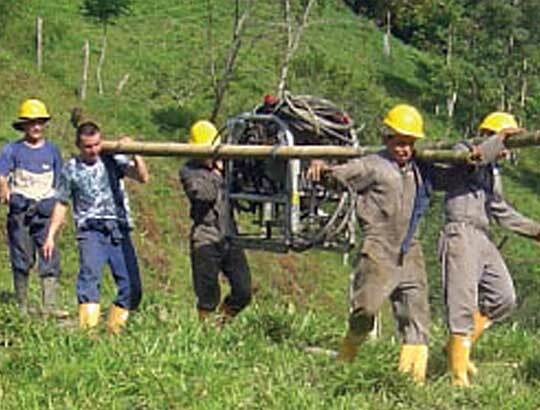 We use modular rigs whose components are man-portable, so access to drill sites in Colombia is by path instead of road that minimizes forest clearing and associated erosion risk. The advantage is that we have cleared only 50 cubic metres of wood – significantly less than the 225 cubic metres allowed under the drill permit. 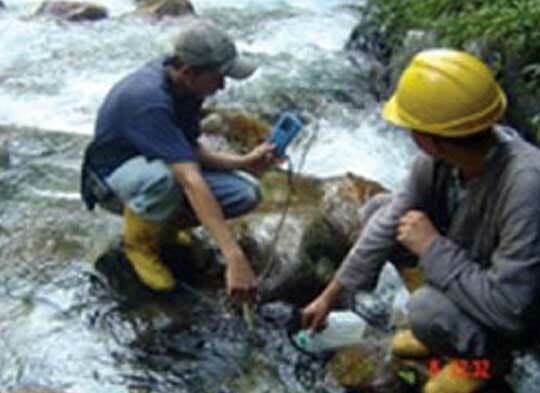 Water quality is monitored throughout drilling with samples taken before the rig arrives on site, others taken during drilling and water quality continues to be monitored after drilling at each site. 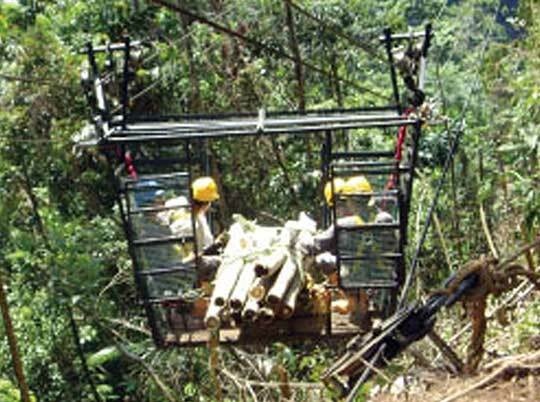 An aerial cable system has been installed in the Berlin Project in Colombia to transport personnel and equipment to reduce the number of paths that need to be made between platforms. A program of composting organic waste using earthworms has been implemented. 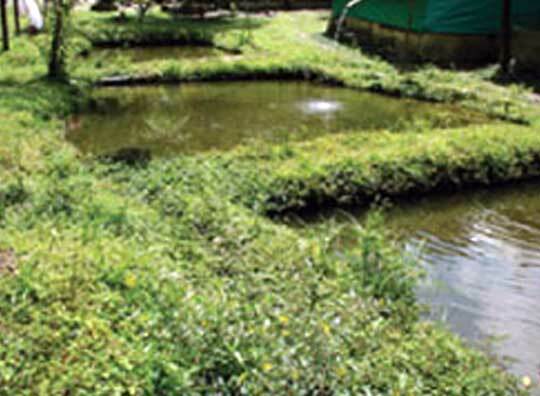 The compost is used for vegetable gardens and the worms are used to feed fish (tilapia) in ponds. 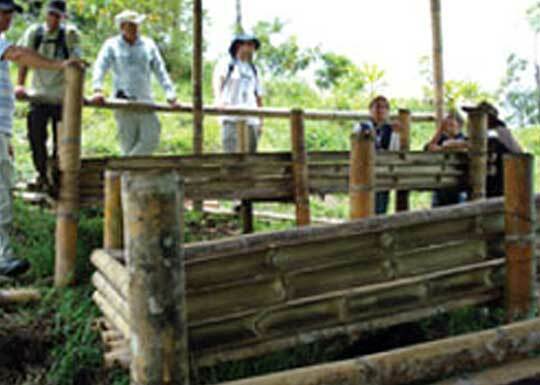 Members of the community and school children review environmental initiatives undertaken by U3O8 Corp., such as reforestation and erosion control, as a means of education about environmental care. 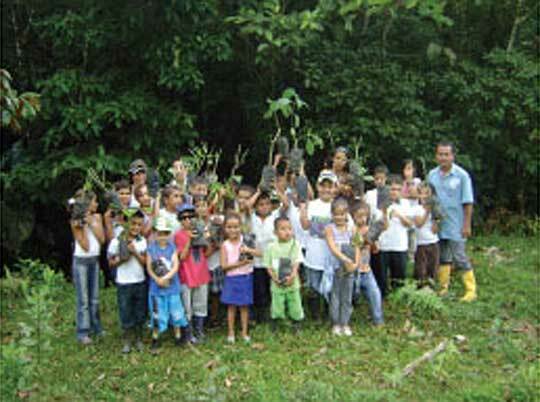 School children have helped reforest some areas and have planted seeds in the indigenous tree nursery. In the Berlin Project in Colombia, land has been purchased in the headwaters of the stream that supplies a community’s potable water. 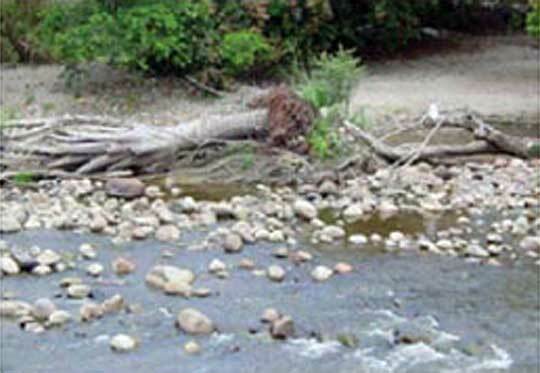 Since we purchased that strategic land, the removal of livestock and reforestation with selected native species has led to a marked increase in water quality.